Congratulations to "Kai" and "Mary P", the winners of Winter's giveaway. Thank you to all who participated! When my agent and I were getting ready to submit my series we wanted to come up with a series title that fit all four books. So, while she was painting her rental house and I was doing some research online, we texted back and forth with ideas. Taking the concept that it was a novel series that held focus on police procedure, I wanted something that portrayed that point. And we both knew the series would progressively get darker with the content. 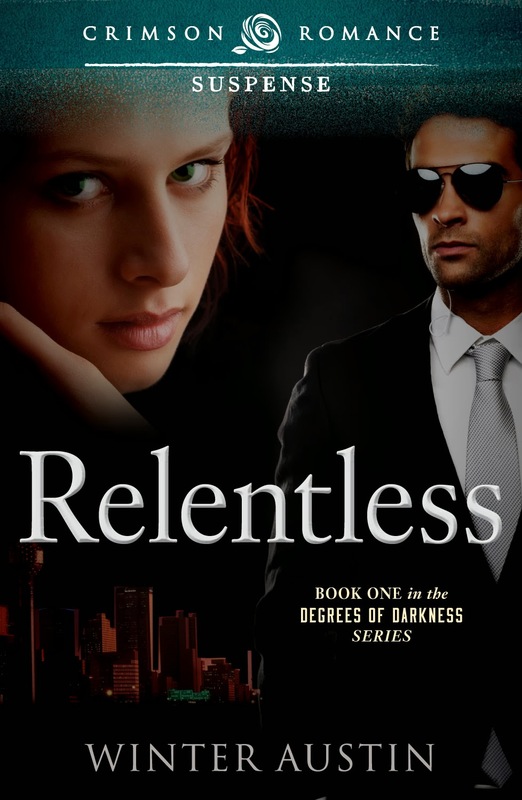 As we tossed ideas back and forth my agent eventually hit on the name; Degrees of Darkness. Degrees to represent the degrees of murder charges. And Darkness, well, because of the dark factor. Satisfied with the series title we ran with it. Thereafter, my publisher Crimson Romance, picked up the whole four book series. To date books 1-3 are available, and 4 is set to release at the end of March 2014. A ghost returns. An Assassin with an unholy connection to Remy’s past. And this time there’s more at stake. As Remy closes in on the nameless faces who have controlled his life for too long, his ability to save himself and those closest to him is tested, putting everyone he cares for and loves in grave danger. And this time, Cody may face the reality of his death. Some dark secrets are best left in the past, but in order to move on with her new life, Cody must face the one deadly secret that took her mother’s life. 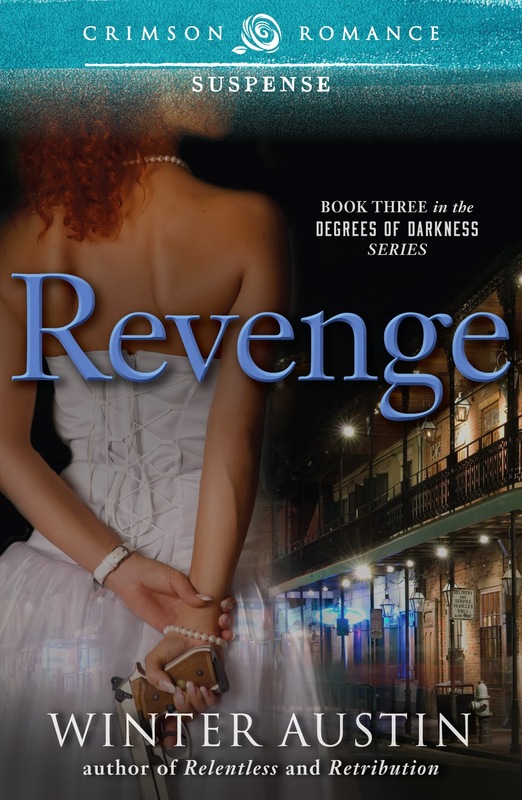 For the weekend to 2 lucky winners I’m giving away 1 copy of the winner’s choice of books 1-3 of the Degrees of Darkness, Relentless, Retribution, or Revenge. Giveaway ends 11:59pm EST Jan. 12th. Please supply your email in the post. You may use spaces or full text for security. (ex. jsmith at gmail dot com) If you do not wish to supply your email, or have trouble posting, please email maureen@JustRomanticSuspense.com with a subject title of JRS GIVEAWAY to be entered in the current giveaway. It looks like an exciting series and that was a good title. I do like romantic suspense with a dark story since it is balanced by the romance. Wow! 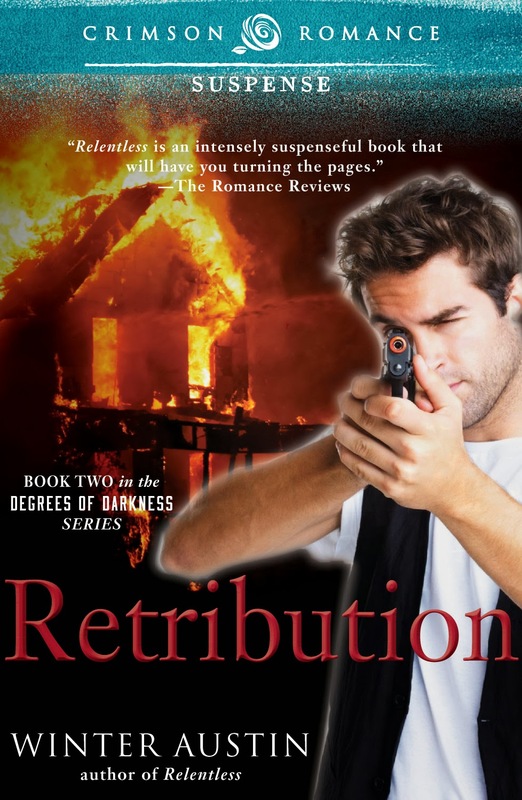 This looks like a terrific series but I really want to read Retribution. This sounds like a great series Winter. I also like your titles! Please enter me in your draw. The series title does seem most appropriate. The books look like exciting reads. This sounds like a very exciting series. This series sounds and looks good. I am most interested in Retribution. Love the book description. Thanks for the book description and the interview.